The story of conscientious objection in Britain begins in 1916, when conscription was introduced for the first time. Some 16,000 men — the first conscientious objectors — refused conscription because they believed on grounds of conscience that it was wrong to kill and wrong of any government to force them to do so. As historians mark the centenary of the First World War much emphasis is placed on the bravery of those men who fought and died in the trenches. But those who refused to kill were also courageous. Conscientious objectors in the First World War were treated brutally: they were seen as cowards and traitors, vilified, abused, forced into the army, brutalized and tortured. Some were even sentenced to death in an attempt to break their resistance. Many spent long months and years in prison. Nothing though that the authorities did broke the determined resistance of these men, whose deeply held principles and belief that killing was wrong carried them through and stands as a beacon for individual conscience to this day. 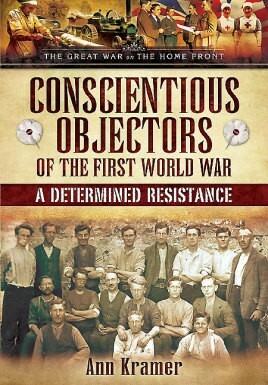 Conscientious Objectors of the First World War: A Determined Resistance tells the stories of these remarkable men. It looks at who they were, why they took the stand they did and how they were treated. 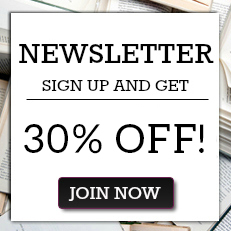 To bring their voices and experiences to life, Ann Kramer, has used extensive prime source material, including interviews, memoirs and contemporary newspapers. Working from these she describes what it was like for COs to face hostile tribunals, be forced into the army, defy army regulations, be brutalized and endure repeated terms of imprisonment. She concludes by looking at their legacy, which was profound, inspiring a second generation of conscientious objectors during the Second World War, a continuing story that Ann Kramer describes in her companion volume Conscientious Objectors of the Second World War: Refusing to Kill. ANN KRAMER is a well-known writer, who has written extensively on women’s roles during the two world wars, a subject that fascinates her. Her recent books include the successful Land Girls and their Impact (Pen & Sword, 2008), which was very well received.Born and educated in London, Ann Kramer now lives in Hastings.